Southport, England. 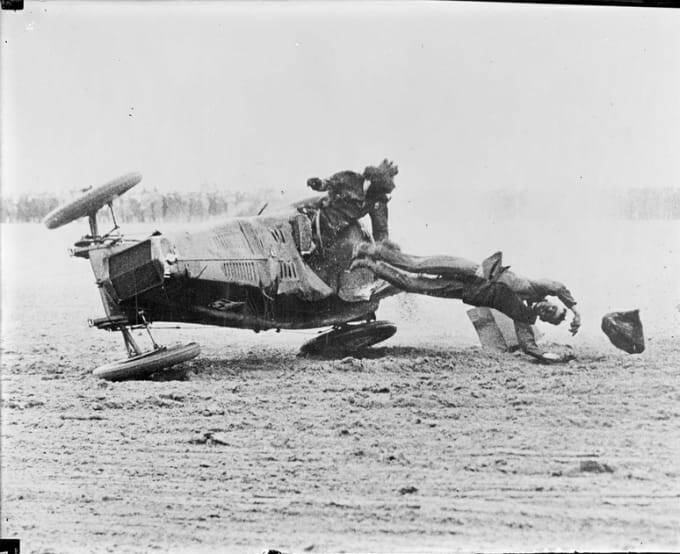 A remarkable photo, taken at the actual moment of the overturning of a racing car of Miss Mary Cunliffe, English driver, during a 100-mile race on the Southport Sands. Showing her father, who was riding with her being hurled to death.